Health coaching is a people intensive business. A robust coaching platform can help a coaching organization optimize deployment of their coach resources and ensure that all coaches deliver a high quality, consistent coaching experience. Choosing the right coaching platform for your business will depend on the size of your organization and the range of coach services you offer. But here are some general factors you might want to consider. Some of your programs may offer coaching to all participants; others may target coaching to those at high risk or with gaps in care. A good coaching platform will help you identify participants eligible for coaching and then manage the enrollment process. 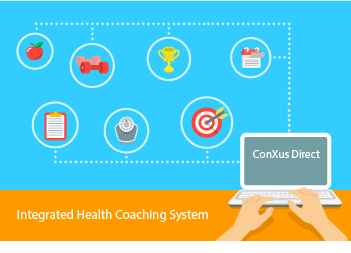 You want to look for flexibility in defining coach stratification rules to meet differing program requirements, and in the data sources that can be absorbed and used for stratification, such as health screenings, health assessments, and medical claims. Caseload management is a critical success factor for your coaching program. The right coaching platform will help you assign coaches to programs and schedule coach availability. Then it will help your coaches set and manage coaching appointments, and deal with the headaches of cancellations and rescheduling. No coaching platform can replace the skill of an experienced coach. But a user-friendly coaching platform streamlines the encounter so your coaches can focus on driving behavior change and closing gaps in care. Look for a solution that provides real-time access to participant data from screening results, health assessments, and personal health devices. The right platform will also support checklists and structured progress notes to standardize care delivery and documentation. High engagement is essential to good outcomes. Does your chosen platform allow your coaches to message with participants, share coaching goals, and deliver educational material? Can they review participant generated data between coaching encounters? Are participant-facing tools mobile friendly so users can check in anytime, anywhere? Last, but not least, the right coaching platform will provide you with direct access to a library of reports for program management, outcome reporting, and billing. Look for the option to restrict report access to different groups of users for compliance with the HIPAA Minimum Necessary Rule in limiting access to PHI.